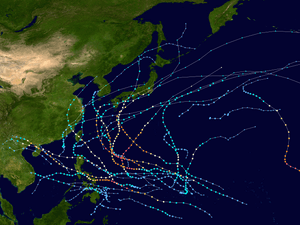 The 2014 Pacific typhoon season is an ongoing event in the annual cycle of tropical cyclone formation, in which tropical cyclones form in the western Pacific Ocean. The season will run throughout 2014, though most tropical cyclones typically develop between May and October. The scope of this article is limited to the Pacific Ocean to the north of the equator between 100°E and 180th meridian. Within the northwestern Pacific Ocean, there are two separate agencies that assign names to tropical cyclones which can often result in a cyclone having two names. The Japan Meteorological Agency (JMA) will name a tropical cyclone should it be judged to have 10-minute sustained wind speeds of at least 65 km/h (40 mph) anywhere in the basin, whilst the Philippine Atmospheric, Geophysical and Astronomical Services Administration (PAGASA) assigns names to tropical cyclones which move into or form as a tropical depression in their area of responsibility located between 135°E and 115°E and between 5°N–25°N regardless of whether or not a tropical cyclone has already been given a name by the JMA. Tropical depressions that are monitored by the United States’ Joint Typhoon Warning Center (JTWC) are given a number with a “W” suffix. During each season, several national meteorological services and scientific agencies forecast how many tropical cyclones, tropical storms, and typhoons will form during a season and/or how many tropical cyclones will affect a particular country.These agencies include the Tropical Storm Risk (TSR)Consortium of the University College London, Philippine Atmospheric, Geophysical and Astronomical Services Administration (PAGASA) and the Taiwan’s Central Weather Bureau. During October 2013, the VNCHMF predicted that one to two tropical cyclones would develop and possibly affect Vietnam between November 2013 and April 2014. A tropical disturbance formed on January 3, 2014. 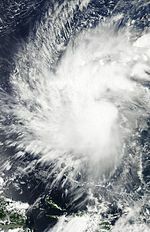 The system strengthened into a tropical depression on January 10. The storm weakened on January 12. On January 14, it became a tropical depression which formed near the northeastern coast of Mindanao,Philippines. The PAGASA then named the system Agaton early on January 17. The next day, its circulation became a bit exposed as it intensifies into a tropical storm by the JMA, naming it Lingling. The JTWC upgraded it to a tropical depression, giving the designation 01W later that day. The storm reached its peak intensity at noon of January 18, before the JTWC issued its final advisory late on January 19. Early on January 20, Lingling was rapidly downgraded to a tropical disturbance, before its remnants was been absorbed by a cold front on January 23. Floods and landslides killed 70 people in the Philippines. In post analysis, the JMA considered Lingling and the first depression to be separate storm, in February 2014. Late in January 2014, the JMA reported that another tropical depression had formed east of Yap. Due to warm waters, the system organized and strengthened into Tropical Depression 02W by the JTWC on January 30. The next day, both the JMA and PAGASA started to upgraded it to a tropical storm, naming it Kajiki by the JMA and Basyang by the PAGASA. The JTWC upgraded this storm to a tropical storm later that day, as it slowly intensifies with convection. According to PAGASA the storm made landfall over Siargao Island on January 31. Due to the unfavorable conditions in the South China Sea, Kajiki dissipated late on February 1. Late on February 15, a tropical disturbance was spotted near Chuuk, near the equator and was later designated as Invest 93W. The disturbance was moving slowly in an area of high vertical wind shear, therefore, it was not able to organize properly. Upon moving in an area of lower vertical wind shear, the storm was able to consolidate and organize. On February 26, the disturbance was upgraded to tropical depression status by the Japan Meteorological Agency and was given a Tropical Cyclone Formation Alert by the Joint Typhoon Warning Center. The following day, it was upgraded by the JTWC to a tropical depression and designated as 03W. Several hours later, the JMA upgraded the system into a tropical storm and named it Faxai. Faxai started rapidly intensifying info a severe tropical storm, then a typhoon for a short period of time. The system became extratropical on March 6, before and fully dissipating several kilometers southeast of Japan, late on March 8. On March 12, a tropical disturbance formed near southeast ofGuam. Early on March 18, the JMA reported that it intensified to a tropical depression, which had developed about 395 km (245 mi) east-northeast of Koror, Palau. On the next few days, the system became more organised and it was named Caloy by PAGASA on March 21. Late on March 22, the system was designated as 04W by the JTWC. Due to less convection and land reaction on March 24, the system was downgraded to a disturbance and dissipated later that day. The remnants continued to move westward towards the South China Sea, before dissipating completely to the southwest of Vietnam on March 27. On March 30, a cluster of thunderstorms formed near the equator andPapua New Guinea. The large cluster separated into Tropical Cyclone Ita and a tropical disturbance. It intensified into a tropical depression on April 2 and strengthened into 05W by the JTWC the next day. The next day, convection built up and the system and intensified into a tropical storm, prompting the JMA to name it Peipah. 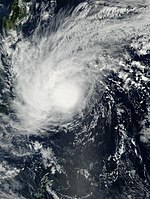 Early on April 9, Peipah weakened to a tropical depression. Later on April 10, the JMA declared that Peipah had dissipated as the JTWC classifies that it is still a tropical depression. The JTWC made its final warning on Peipah later that day, as the storm’s remnants continued to move northwest slowly towards the eastern Philippines. Late on April 13, Peipah regenerated into a tropical depression to the east of the Philippines, while slowly continuing to approach the island nation. However, the system soon began to weaken, even while slowing down just east of the Philippines. On April 15, Peipah became disorganized and the system’s convection was displaced from its center of circulation, prompting the JTWC to issued its final advisory on the system, as the storm was no longer expected to redevelop. 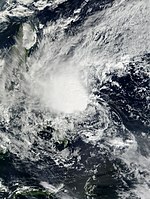 Later on the same day, Peipah stalled, and the convection from its remnants began to drift over the southern Philippines. During the next several hours, the remnants of Peipah turned towards the southwest, until it dissipated late on April 16, just off the northeastern coast of the island of Mindanao. On April 17, the PAGASA downgraded Peipah to a low-pressure area and issued their final advisory. Early on April 27, the JMA reported that a tropical depression had formed about 515 km (320 mi) south-southeast of Hagåtña,Guam. Later that day, the JTWC upgraded it to Tropical Depression 06W as it moved north. Due to warm waters, the system rapidly intensified into a tropical storm with the JMA naming it Tapah on April 28. On January 10, the JMA reported that a tropical depression had formed southwest of Palau. The JMA then downgraded it to a low pressure area on January 12, as it made landfall over Mindanao. On February 2014, the JMA considered 2 separate systems with Lingling. Early on March 11, the JMA reported that a tropical depression had developed about 195 km (121 mi) east of Mati City, Philippines. Due to deteriorating convection and unfavorable conditions, the depression dissipated completely on March 12. On April 19, the JMA reported that a tropical depression had developed about 490 km (300 mi) southwest of Hagåtña, Guam. Due to less convection and cool waters on April 21, the depression weakened to a disturbance while still moving west. The remnants of the tropical depression fully dissipated on April 22. Tropical cyclones are named from a set of five naming lists set by the JMA’s Regional Specialized Meteorological Centre inTokyo, Japan, once they reach tropical storm strength. Names are contributed by members of the ESCAP/WMO Typhoon Committee. Each of the 14 nations and territories submitted ten names, which are used in alphabetical order, by the official English name of the country. The next 25 names on the naming list are listed here along with their international numeric designation, if they are used. The next name to be used this season is Mitag. The PAGASA uses its own naming scheme for tropical cyclones in their area of responsibility. PAGASA assigns names to tropical depressions that form within their area of responsibility and any tropical cyclone that might move into their area of responsibility. Should the list of names for a given year be exhausted, names will be taken from an auxiliary list, the first ten of which are published each year before the season starts. Names not retired from this list will be used again in the 2018 season. This is the same list used in the 2010 season, with the exception of Jose and Kanor which replaced Juan andKatring. Names that were not assigned/going to use are marked in gray. The next name to be used this season is Ester. 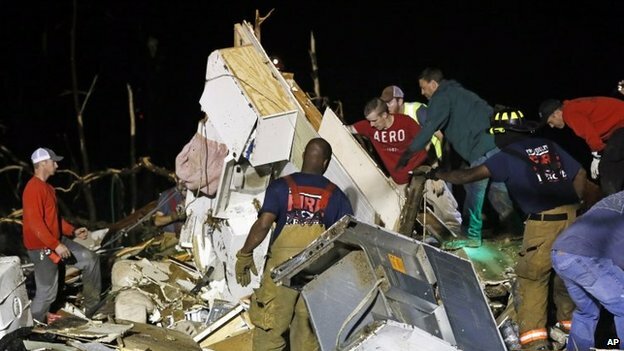 Severe weather is threatening as many as 73 million Americans in the eastern states, after two days of powerful storms killed up to 28 people. Government forecasters have warned of severe thunderstorms from the Gulf of Mexico up to the Great Lakes. 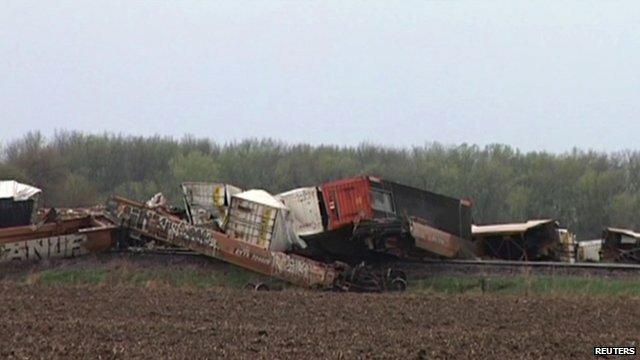 On Sunday and Monday, tornadoes cut a broad track of death and destruction through the southern US states. The storms flattened buildings, overturned cars, and left thousands of residents without power. “Widespread thunderstorms are forecast across the central Gulf Coast region, with several severe [or]supercell storms possible,” the National Weather Service wrote in a morning forecast. 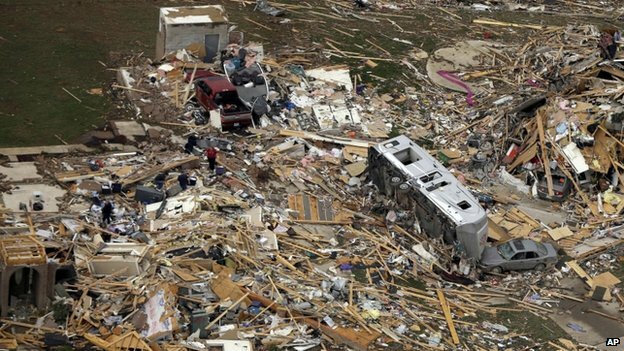 Meanwhile, the search for survivors continues in the southern US states that were smashed by huge tornadoes on Monday and Tuesday. 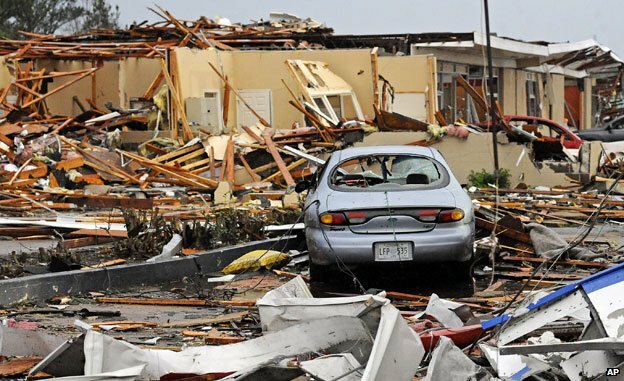 Early on Tuesday, residents of Louisville, Mississippi crept from their shelters to find their homes demolished by a tornado that punched holes in the roof of a local hospital. 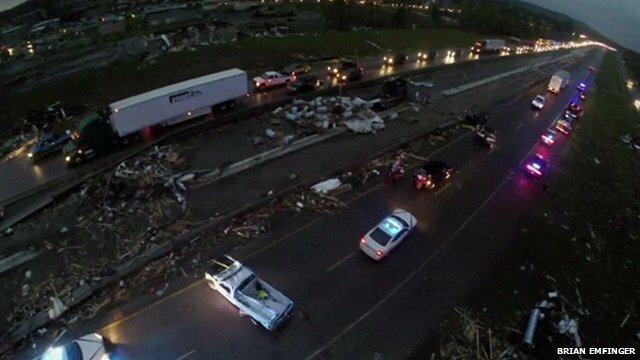 The storm and the tornadoes it spawned killed as many as eight people in Mississippi on Monday, including a woman who died when driving her car during the storm in Verona, south of Tupelo. Giles Ward huddled in a bathroom with his wife and four other relatives as a tornado destroyed his brick house and overturned his son-in-law’s four-wheel-drive parked outside his home in Louisville. 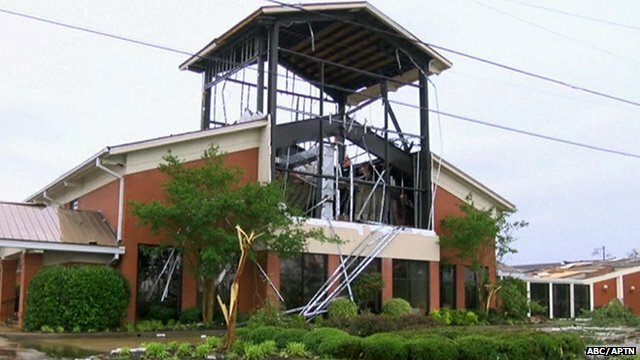 The mayor of Tupelo, Jason Shelton, told CNN the damage from the storms was widespread and “devastating”. A 21:00 local time (02:00 GMT) curfew was in place on Monday. 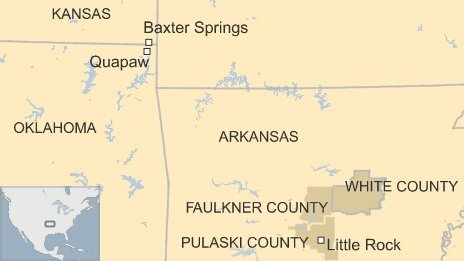 As many as 16 people were killed on Sunday, including 14 in the towns surrounding Little Rock, Arkansas, with Mayflower and Vilonia bearing the brunt of the damage. 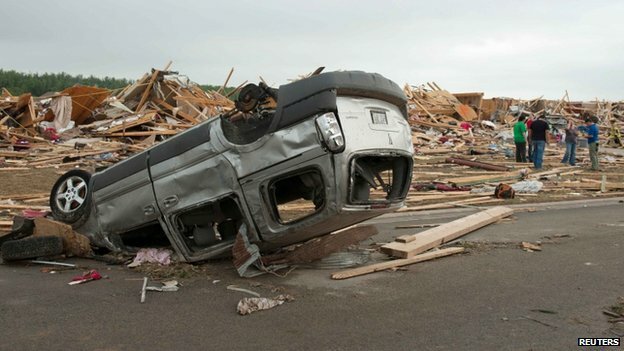 Many homes and businesses, including a new secondary school worth $14m (£8.3m), were left in ruins in Vilonia after the storm. “There’s just really nothing there anymore. We’re probably going to have to start all over again,” said Vilonia schools chief Frank Mitchell after inspecting the wreckage of the school. The death toll may yet rise as crews search the wreckage of destroyed buildings. It has long been recognized by intelligent observers that a global superbug pandemic is inevitable. Humanity has created the perfect conditions for it: global nutritional deficiencies, weakened immune systems, high population density, high-speed international travel and systemic abuse of antibiotics by medical professionals. Drug-resistant superbugs like MERS (Middle East Respiratory Syndrome) are 100% immune to every conventional medical treatment in existence. 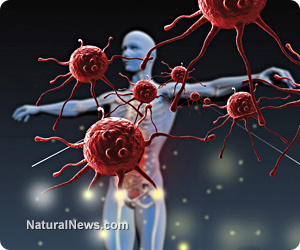 There is no antibiotic, no vaccine, no drug and no treatment practiced by western medicine that can stop these bugs… and infections are deadly. 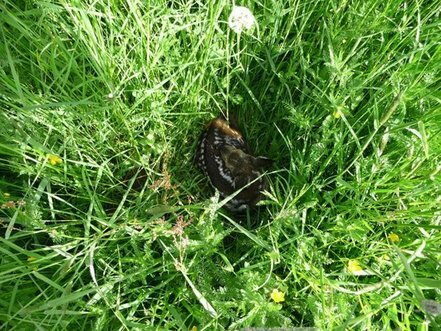 A German wildlife rescue project is deploying small aerial drones to find and protect young deer hiding in tall grass from being shredded by combine harvesters cutting hay in spring. The pilot project has shown great promise in spotting the young animals, about 100,000 of which fall victim in Germany every year to the large agricultural machines, said project spokesman Rolf Stockum on Friday. 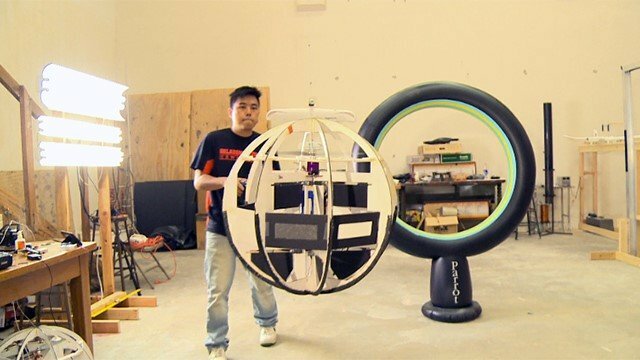 In a pilot phase, five small drones — fitted with combined digital and infrared sensors that can detect colour patterns and body heat — have been trialed in the southern state of Bavaria to find the animals. When spotted, the young deer are fitted with beacons that emit radio signals, so that farmers, when they later do the spring mowing, can find and avoid them as they noisily rumble across the grasslands and fields. Germany’s agriculture ministry — which is backing the project with 2.5 million euros ($3.4 million) — this month alerted farmers to the threat as mild April weather is ringing in grass-mowing season in much of Germany. Stockum said “the problem is that deer often hide their fawn in tall fields near the edges of forests” to protect them from natural predators. “Evolution has created a very effective way to protect the fawns, which do not yet have a sense of smell — they instinctively stay exactly where they are placed,” he told Agence France Presse. This makes it very hard for farmers or even experienced wildlife trackers to spot the animals, leading to horrible accidents, said Stockum. Stockum said this is also traumatic for the farmers and machine operators involved and, furthermore, pollutes the cut grass, which is used as livestock feed, with shredded deer remains. Farmers have in the past made visual inspections of grass areas or used trained dogs, and more recently many have employed hand-held infrared devices, to find the deer, said the spokesman. However, Stockum said, using drones in coordinated campaigns, with crowds of volunteers, in the weeks before hay-cutting would cover far larger areas with greater accuracy and therefore save many more fawns’ lives. Residents of the southern city of Sidon and its suburbs spotted several locusts on Saturday, which some experts said is due to the hot weather that Lebanon is witnessing currently, media reports said. Citizens and farmers of the coastal area fear that an increase in the number of locusts could threaten their fields and crops. 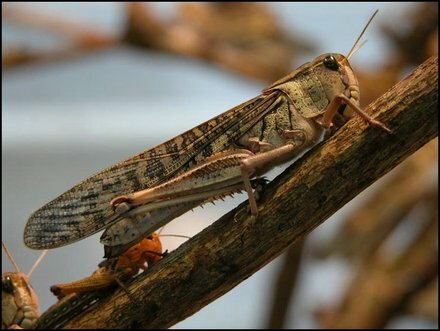 Voice of Lebanon radio (93.3) reported that some locusts also appeared in the northern city of Tripoli. The wave of locusts witnessed in the region originate from Africa, and several numbers were able to infiltrate Lebanon where the warm weather is a welcoming factor, reports said.